After hearing rave reviews about Mineral foundations, I’ve wanted to try them forever. Sheer Cover Studio were a brand I’d seen advertised on the TV and when I got sent their Perfect Shade Mineral Foundation* I was just too excited to get stuck into it. This past week I applied a fake tan – when I’m a little more bronzed on my face I don’t like to wear a liquid foundation. This mineral foundation has been such a life saver and has been perfect! Firstly, I love how this little pot has a dispenser attached to it; As this is a loose powder, it could get quite messy without it! The formula is so nice and creamy and I was really surprised when it smoothed nicely over my skin, with the use of my Real Techniques Expert Face Brush. I buffed it in and fell in love with the way it blended with my skin, tone even when tanned. I was sent the shade ‘light’ and as an almost translucent powder, it works well with both my tanned face and my normal pale skin as on the skin it adds a really nice colour. I’ve become absolutely obsessed with this foundation and find that it is so much better for me than a liquid one. Being so light and yet still so good with coverage, this has become my daily go-to. 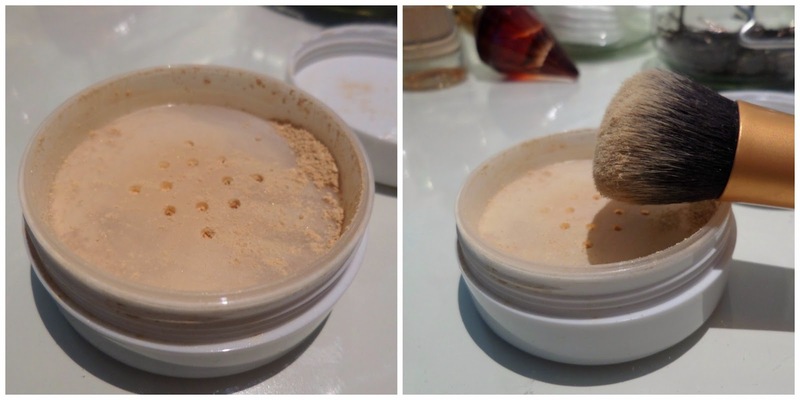 Have you ever tried a mineral foundation? You can buy the Sheer Cover Studio Starter Kit here for £29.99 in a mix of different shades. I tried bare mineral but it didn't really work for me I found it frustrating and I prefer the fuller coverage of a liquid. However, I have been intrigued about this since I saw the advert on the TV, I'm surprised to find it works as well as the advert suggests! I'm really glad that I stumbled across your blog because I love all your posts! I really love your outfits posts but everything else is super interesting too!